We may never know precisely what took place in the early hours of 26 February 2019. The agreed-upon elemental facts of India’s air strikes in Pakistan are limited to the following: Some time in the middle of the night, Indian Air Force jets crossed the Line of Control that divides the Indian and Pakistani parts of Kashmir. They struck a target around Balakot, which is across the international border in Pakistan’s Khyber Pakhtunkhwa province. From there the facts diverge dramatically. Pakistan, via the Twitter account of the armed forces spokesman Maj. Gen. Asif Ghafoor, said that the IAF jets were “forced” to retreat in “haste” and release “payloads” quickly. Pakistan also tweeted images of the cited Balakot location showing some dirt and trees, plus one image of some kind of object with a serial number, presumably the remains of a bomb. Pakistani authorities also stated that the area sustained no damage and no casualties. A later report from the Balakot area suggested one wounded. It took hours before a government response came from India, although Indian media sought to fill the information gap in the interim, including with reports of high casualties in the hundreds. The first official statement came from foreign secretary Vijay Gokhale—a civilian, in contrast to the military-dominated information from the Pakistani side—who convened a brief press conference and released the official account of events. This version emphasised India’s actions based on intelligence to prevent another terrorist attack following the 14 February suicide bombing in Pulwama that killed at least 42 Indian CRPF soldiers. This version cited the Balakot location as a known training camp for Jaish-e-Mohammad (JeM), who had already claimed responsibility for the Pulwama attack. The foreign secretary’s statement referred to this action as “non-military pre-emptive action” (meaning that its target was not military) and noted that the selection of this remote camp sought to avoid civilian casualties. He also said that “a very large number of JeM terrorists, trainers, senior commanders and groups of jihadis who were being trained for fidayeen action were eliminated”. Between these two official accounts lies a significant gap. Exactly how far into Pakistani territory did the Indian Air Force jets reach, and for how long? What was hit and what was the damage? How many people were killed? We may never fully know what transpired. What exactly do we know? We know that India is heading into 2019 Lok Sabha elections, with immense and justified domestic anger at the ongoing series of terrorist attacks on India that originate in Pakistan. We know that India has not used air strikes inside Pakistan since their 1971 war. We know that Pakistan’s Prime Minister Imran Khan lacks a strong political base from which to push back against the military in his country, should he want to. We also know that communication between both nuclear weapons-armed countries has deteriorated in recent years precisely because of the continued terrorist attacks and the Modi government’s decision to end the composite dialogue unless Pakistan ends safe haven to the terrorist groups targeting India. The onus now falls on Pakistan to prevent escalation. But instead, Pakistan has publicly announced a meeting of the National Command Authority on 27 February, effectively rattling nuclear sabres as this body oversees its nuclear weapons. Pakistan does not have a no-first-use nuclear doctrine. Nuclear escalation—long the worst-case fear for this region—would take things into the strategic and foreign policy realm of the unknown. At this point, countries around the world that wish for peace in South Asia must press Pakistan to make better choices and uphold its obligations as a UN member state to prevent its territory from being used for terrorism. This is the provocation that has brought this region to the brink over and over again. This is the pressure point that must be pressed diplomatically. First, a member of the UN Security Council should build upon last week’s press statement condemning the Pulwama attack by calling for an emergency session to discuss the continued threat of Jaish-e-Mohammad and the destabilising peril it presents to the region. While China may try to block efforts to focus attention on its all-weather ally Pakistan, the Security Council can point to resolution 1267, under which this group was listed in 2001, as the urgent authority. Second, other intergovernmental organisations should leverage their influence. On 22 February the Financial Action Task Force (the international consultative body that monitors anti-money laundering and counter-terrorist finance controls) decided to keep Pakistan on the “greylist” rather than blacklist it. While this decision should have gone the other way, countries active in the FATF should make compliance with the action plan Pakistan has committed to complete a central part of their bilateral diplomacy with Islamabad, reinforcing the interaction with FATF itself and clarifying what happens when a jurisdiction can no longer access the global financial markets. The Commonwealth Ministerial Action Group should discuss how Pakistan, by refusing to act against UN-designated terrorist groups on its soil, is failing to uphold the values of the Commonwealth, and how that imperils its membership. Third—and we have seen early signs of this approach already from Australia and from France—countries should mobilise their governments at the “highest appropriate level” to call upon Pakistan to stand down and take action against terrorist groups. The United States government should put its diplomatic shoulder to the wheel as well; there are further bilateral steps Washington can take with Pakistan (as I argued last week) and it should continue taking them. 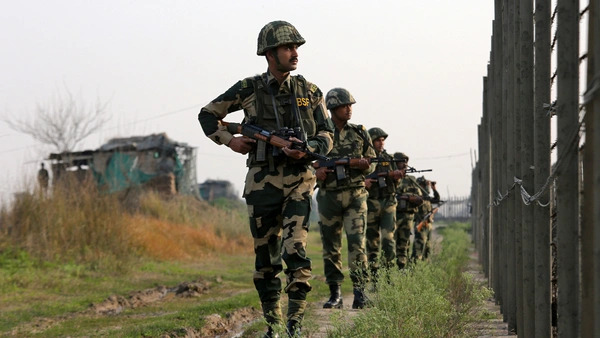 The uncertainty of not knowing what exactly happened across the Line of Control and in Balakot has the virtue of allowing Pakistan to make an angry statement to save face, but stand down on further escalation. The alternative—taking the region into nuclear war—is a far worse unknown to contemplate.